Politicization of Sri Lanka’s diplomatic Missions reached unprecedented levels under the Rajapaksa regime. Not only family and friends, but mistresses and girlfriends of the powerful few were lavishly indulged as diplomats with tax payer money. Australia saw some of the worse political appointments in the system. These included the Consul General in Sydney, Bandula Jayasekera, sent off on DPL posting because he had to be taken out of the Presidential Media Unit. This individual who has not passed his A/L s created many embarrassments to the Sri Lankan government due to his undiplomatic conduct, especially insulting world leaders. Foreign media quoted him frequently to showcase the obnoxious manner of the Sri Lankan government and its ‘leading’ diplomats. After Yasara Abeynayake, one time girlfriend of presidential offspring Yoshitha, had a love-tiff with the ‘Prince’ she was sent to Sydney as Jayasekera’s deputy. The Carlton Sports Network which she headed and was owned by Yoshitha is now under investigation for numerous financial misconducts. The eccentric Lakshman Hulugalla, the onetime spokesperson of the Media Centre for National Security was sent as Deputy High Commissioner to Canberra after he threatened to disclose numerous corruption deals of the ruling regime after getting embroiled in a legal case with his paramour. The brother of Minister Keheliya Rambukwella was also posted to Canberra. While the administration of President Maithripala Sirisena and Prime Minister Ranil Wickremesinghe has promised not to inflict political revenge on any individual it is preposterous that some of the worst cronies under the previous regime still continue to be paid by the taxpayers of Sri Lanka. Bandula Jayasekera, Yasara Abeynayake, Lakshman Hulugalla, and Rambukwella are yet to be recalled. In fact Jayasekera has returned to his post after months of election campaigning for former President Mahinda Rajapaksa. It is a violation of the Establishment Code for a government servant, politically appointed or otherwise, to get involved in an election campaign. Jayasekera was not only actively involved in the campaign but all his expenses including airfare and accommodation was provided by the State during the period he was in Colombo campaigning. This was while his salary in dollars was being paid in Sydney. Soon after the defeat of Rajapaksa, the Consul General has fled to Sydney. His deputy, Yasara was posted to Sydney without any diplomatic experience or qualification to keep her “quiet” of her affair with Yoshitha. Yasara too is yet to get recalled. While these cronies remain in Australia it is ironic that Admiral Thisara Samarasinghe has been recalled as High Commissioner. While Samarasinghe was a political appointment, the retired chief of the Navy has done a great service to strengthen ties between Australia and Sri lanka. He has no blemishes in his military career, having led navy personnel in Jaffna as a junior officer to protect Tamil civilians during the 1983 black July period. Nor does Admiral Samarasinghe have any allegations of corruption. It is therefore supremely tragic that while he has been recalled the actual cronies remain in Australia at the expense of the Sri Lankan taxpayers. Even more ironical is that an absolutely corrupt incompetent, eccentric such as Lakshman Hulugalle would now be the acting High Commissioner to Australia with the recall of Admiral Samarasinghe. While no exceptions should be made for Admiral Samarasinghe or any other political appointments made by the Rajapaksa regime it is definitely baffling that the worst examples of the stooges remain at these missions wasting our tax monies. 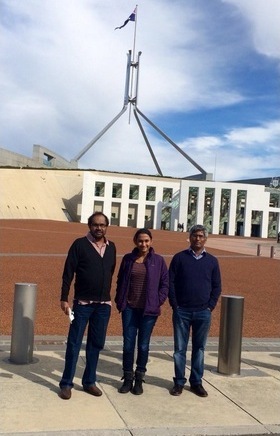 I strongly condemn recent [Edited out] attacks on Bandula Jayasekara, Sri Lankan counsel general, in Canberra. Those attacks are driven by hatred and bigotry against Mr Jayasekara’s [Edited out]. As a proud gay person, i always stand by Mr Jayasekara. 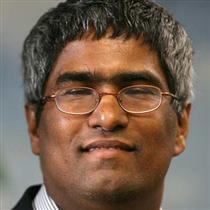 New Sri Lankan government is on a witch hunt against this hard working diplomat. @ Andy from Down Under. Bandula.Jayasekera was in Sri Lanka a few days before and after the elections. FYI………in case you thought he was not canvassing votes for his master!!! Hope all ex military guys will be recalled. Hope all service commanders understand that upon retirement they should gracefully step down and not go behind politicians for overseas appointments or to become chairmen of state entities. This has become a real issue since they lose all self respect and integrity since they become servants to politicians during their term as the commanders. This was very evident during the last 10 years. Look at the Navy and Airfirce commanders over the last 5 years. Some Army major Generals are no better. Even the Rathupaswela Brigadier responsible for the shooting was posted to a diplomatic mission. If our politically appointed foreign diplomats are to remain in the payroll, it explains the Rs.500,000 now individually required as fee for Dual Nationality as well as the $10 million investment for foreigners. These hangers on have to be paid. Our new finance Minister must be living in la la land to believe that former Sri Lankans can afford the Rs.500,000 (only about 3,000 applied when the fee was Rs.100,000) and that foreigners with $10 million would be clamouring to come to live in Sri Lanka. If you have this amount of money to spare, it would be cost-effective to reside in India or Malaysia and commute to Sri Lanka. Bandula Jayasekara enjoying the journey of life with tax payer money and having the high life. Shameless cowards. Yasara had to join his bandwagon of women to disgrace her name. They all fit in the same pit wanting fame and power. Freeloaders. HOW ABOUT THE POLITICALLY APPOINTED EMBASSY STAFF, SPECIALLY THE CHILDREN & RELATIVES OF THE MINISTERS & M.P.S, INCL. THE CHILDREN OF MRS. CHANDRANI BANDARA & MR. TENNAKOON ? If I had a face like Bandula Jayasekera I would have put it on a fence and thrown stones at it! It is a face that can launch a thousand slips and lipstick lips. Aiyoo. BPJ and Yasara always together working after hours, weekends, snapping pics of each other in Sydney, cafés, restaurants with tax money. Aney who needs qualifications to do this and attend fashion shows, pose with models, film festivals and wine with young Aussie women. Bandula is well qualified. This man screwed everything on two legs. This clown served in Canada for a while…………what a bloody disgrace he was. Bandula’s qualifications ,Profile & background are quite sufficient to hold any post of that caliber.Compare President Premadasa’s !!! !etc.etc.